After faithfully aiding with her friendly hands, and cheering with her Christian & motherly voice the sick and wounded soldiers of our army on the march, battlefield, and in the hospitals for over three years, the heroine fell at her post, honored and loved by all who knew her. 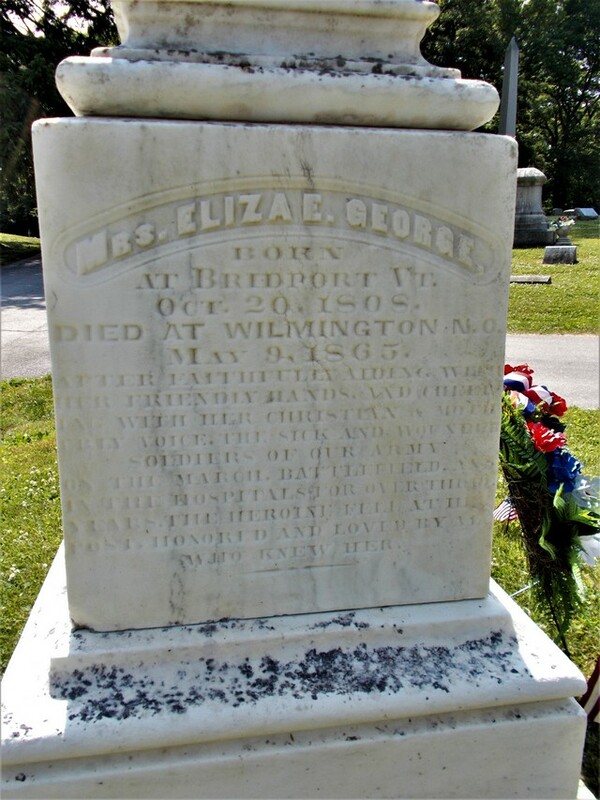 Eunice Eliza Hamilton, affectionately called "Mother" George by those she cared for, was born October 20, 1808 in Bridport, Vermont. Married to W.L. 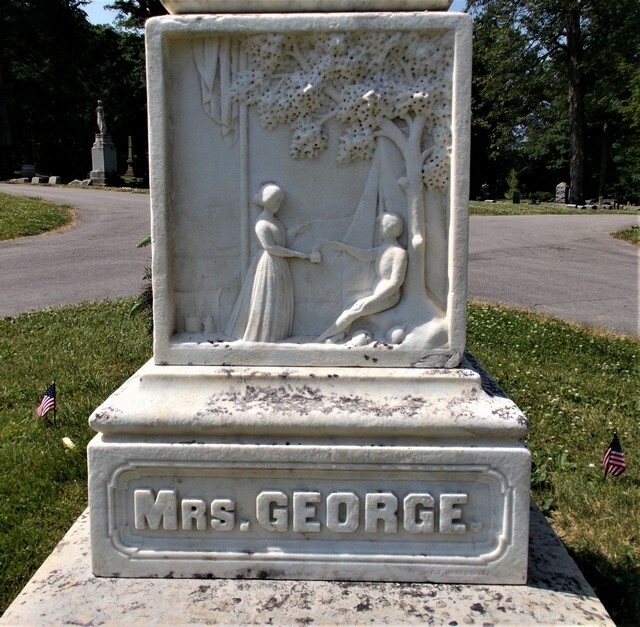 George, she and her family made their way to Fort Wayne, Indiana before the Civil War. 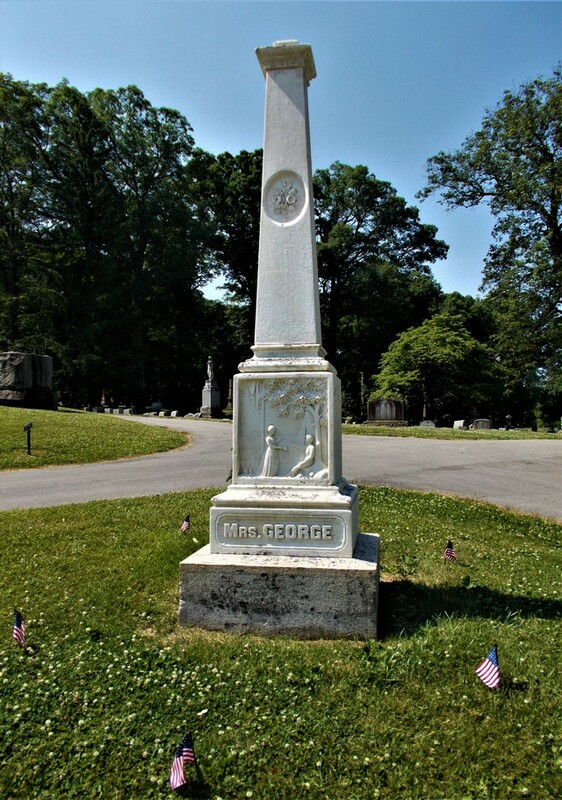 The suffering our soldiers endured during the Civil War prompted "Mother" George to act. She became a Union Nurse at the U.S. Army Hospital in Memphis, Tennessee on April 28, 1863. 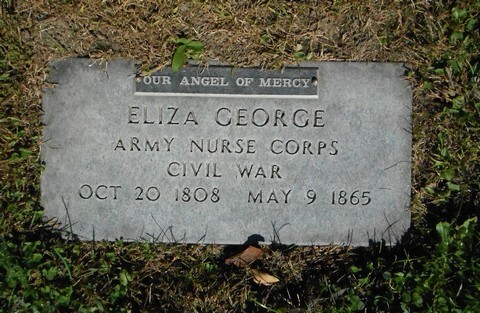 Her epitaph above describes the extent of her dedication over the next two years, having cared for soldiers on the march, on the battlefield, and in hospitals. 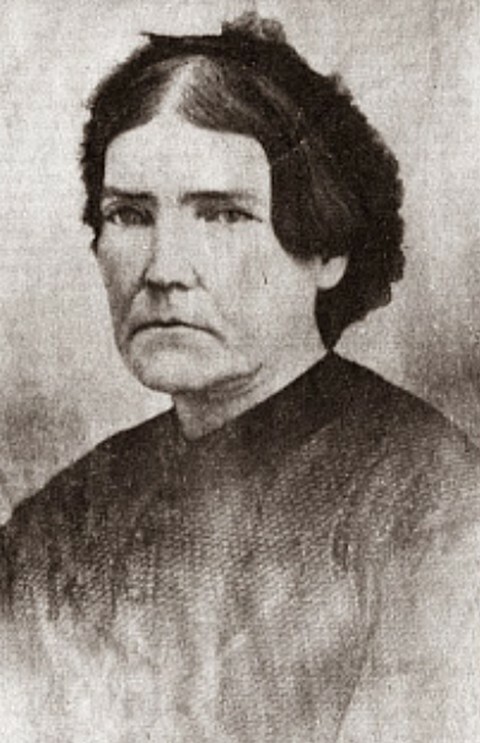 "Mother" George died on May 9, 1865 from disease contracted while nursing sick soldiers in Wilmington, North Carolina. She was buried in Lindenwood Cemetery in Fort Wayne, Indiana with full military honors. See also the article at Infoplease and Mother George: Fort Wayne's Angel of Mercy by Hilary A. Sadler, 1964. "It is made of the finest white marble, and based upon solid mason work of lime and stone, four feet deep underground. The base is three feet four inches square and sixteen inches thick. The sir-base is thirty inches square and fourteen inches thick. The die is twenty-two inches square and twenty-four inches high; the cap or moulding above the die, twenty inches square and seven inches thick; and the spire five feet four inches high, tapering to the top in fine proportion, and crowned with an urn of incense. The total height of the monument above the sod is twelve feet and four inches. Ladies Aid Society of Fort Wayne, Indiana. Born at Bridport, Vermont, October 20, 1898. Died at Wilmington, North Carolina, May 9, 1865. "After faithfully aiding with her friendly hands, and cheering with her Christian and motherly voice, the sick and wounded soldiers of our army on the march, on the battlefield, and in the hospital, for over three years, the heroine fell at her post, honored and loved by all who knew her." W. H. H. Terrill, Adjutant General. Indiana in the War of the Rebellion. (Indianapolis: Douglass & Conner, Journal Office, Printer, 1869), pp. 684-5.